The ‘mo lights the ‘mo better. 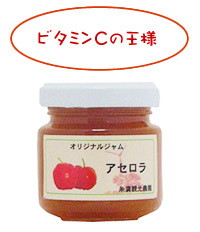 Regardless of the design…. 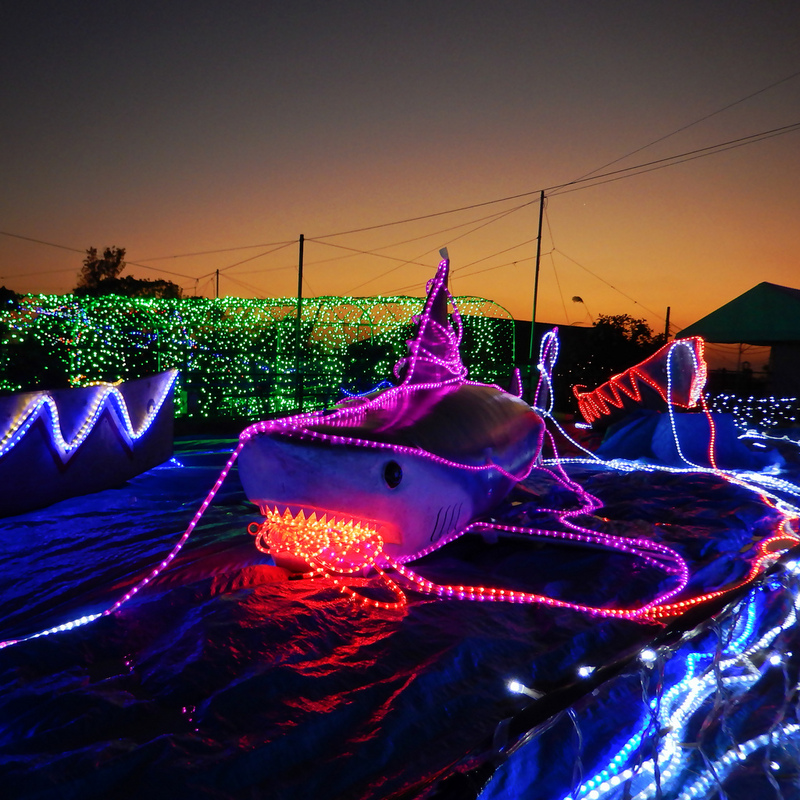 The Itoman Peaceful Illumination Festival “Lights of Peace” is one of Okinawa’s most popular winter holiday events, drawing 50,000 visitors each year. 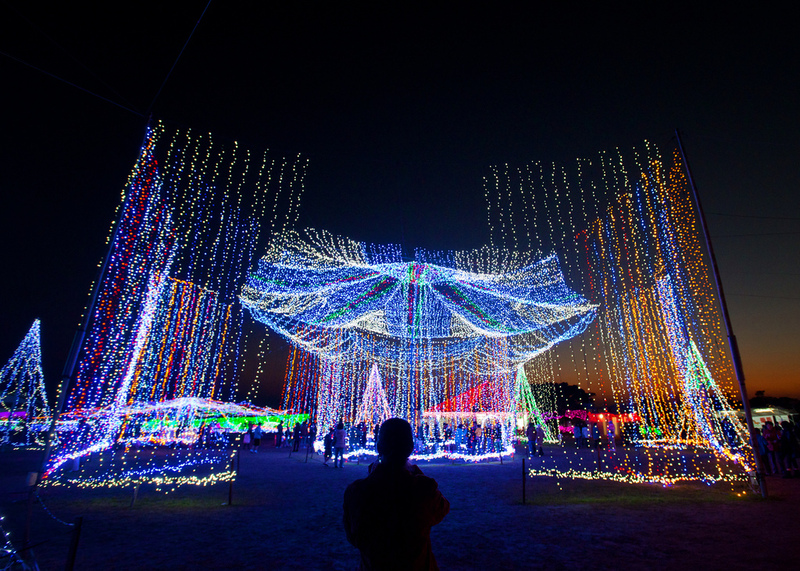 The venue, located in the south of the island near Itoman City, is beautifully if not haphazardly decorated with ~1.3 million lights, roughly representing the Okinawan population, and carrying the island’s hopes for peace through the night skies. 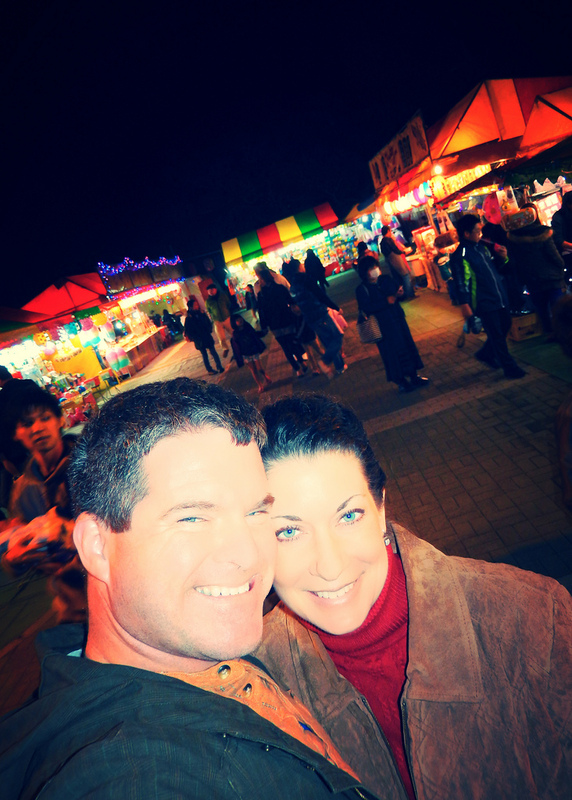 This year, as part of our New Year Day outing, we visited the 15th annual illumination, after spending the daytime hours at the nearby Okinawa Prefectural Peace Prayer/Memorial Park. The Itoman Farm “Gift Shop,” full of Liquid Holiday Cheer! I quickly and excitedly realized, however, the stroke of genius of the illumination’s hosts deciding on holding such an event. You see, the venue is actually the “Itoman Wine Farm” (糸満観光農園), and although there is a small cover charge for admission to the illumination (250 yennies each), and without doubt their festival is a fun-filled, holiday-spirited family event, I couldn’t help but notice that they were doing a rather brisk wine and wine-related paraphernalia business on not quite the side, but front-and-center! Jody and I were both surprised to find a winery here on Okinawa. Having spent four years living among the people here, I had never come across or even heard of an indigenous wine made and bottled on the island. However, Jody and I also both know that almost all places, no matter where you are, make and offer their own wine – although Florida and their local moscatos are barely edible – so shame on us for being so dumbfounded! Wine is usually made from fermented grapes, but can also be made from other fruits (fruit wines) or honey (meads). Wines made from other such produce are named rather directly: rice wine, pomegranate wine, apple wine and elderberry wine, for instance. The term “wine” can also refer to starch-fermented or fortified beverages having higher alcohol content, such as sake, which most people immediately think of when they conjure up plans and schemes of imbibing in Japan. Sake or saké is a Japanese alcoholic beverage made from fermented rice, sometimes called “rice wine.” However, the brewing process for sake is much more akin to that of beer, converting starch to sugar for use in fermentation. 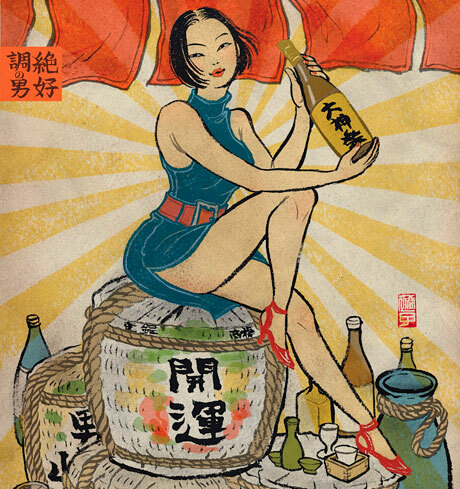 So, in this sense, sake is not really a wine at all…. Sorry for raining on your alcohol-infused mental Far Eastern parade. 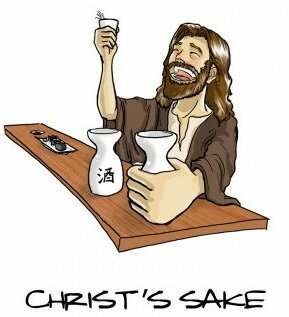 And to make things even more confusing, the Japanese language uses the word sake (酒, “liquor”) as a reference for most any alcoholic drink, while the beverage called sake in the West is usually here termed nihonshu (日本酒, “Japanese liquor”). 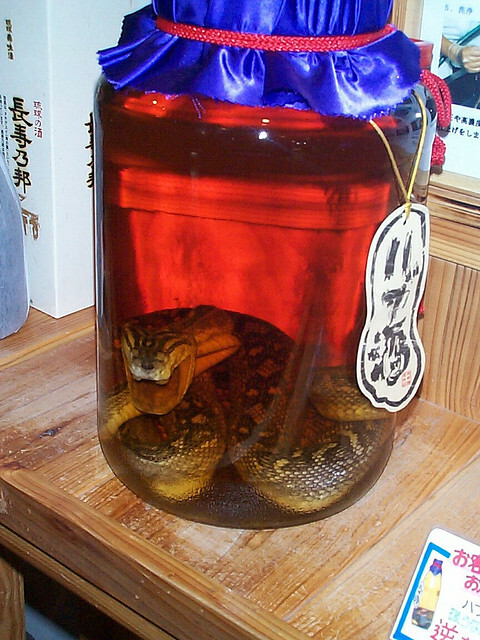 On Okinawa, however, there is an obscure yet popular adult-oriented potion uniquely indigenous to Okinawa: Awamori (泡盛). It’s made from long grain rice, and is product of distillation rather than brewing, which makes it more like hard liquor than anything else. All Awamori made today is from Thai rice, since local production in Japan is no longer sufficient to meet domestic demands (how shameful!). 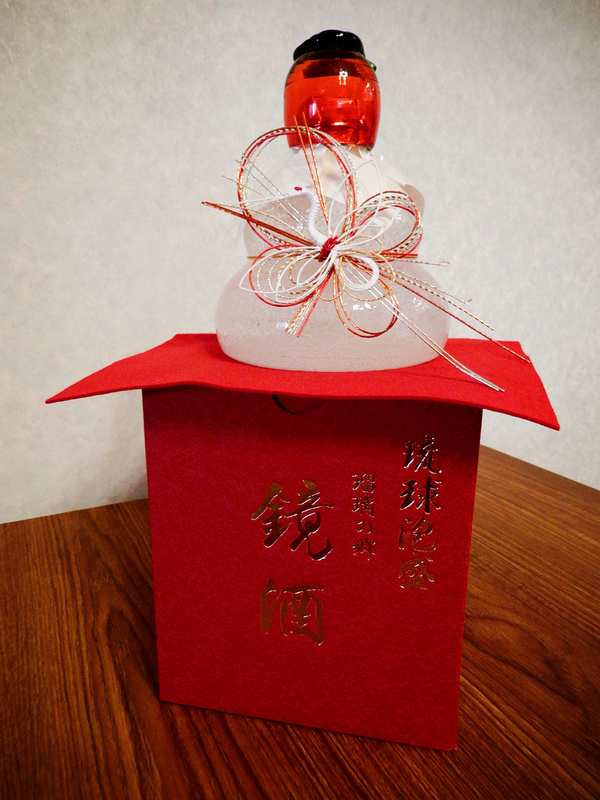 Awamori is typically 60–90 proof, although the hanazake brand can be as high as 120 proof, making it flammable. 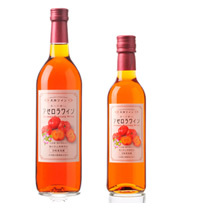 In any case, for all Awamori, the distilled result is typically aged in traditional clay pots to improve flavor and imbue a level of “mellowness.” The most popular way to drink Awamori is with water and ice. When served in Okinawa, it’s usually accompanied by a container of ice and carafe of water. Traditionally, Awamori was served in a kara-kara, a small earthen vessel with a small clay marble inside, which would make a distinctive kara-kara sound when the pouring vessel was nearly empty; it is very bad form and rude in Japan to pour from an empty vessel. While still found on Okinawa, these vessels often now lack such distinctive clay marbles. All of these leads me to a funny tangent…. 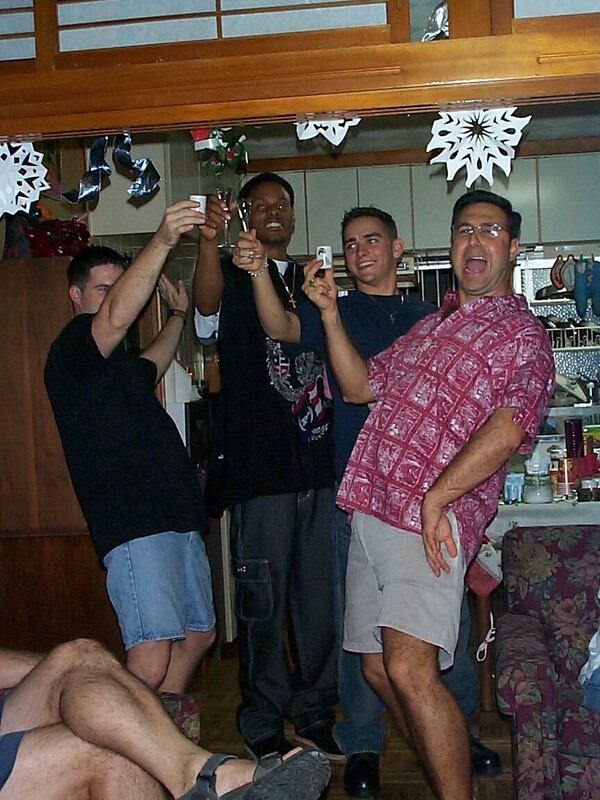 Drinking with the Boyz, circa 2000! I’m partially hidden at far left…. After months of this, I certainly could use the drink. 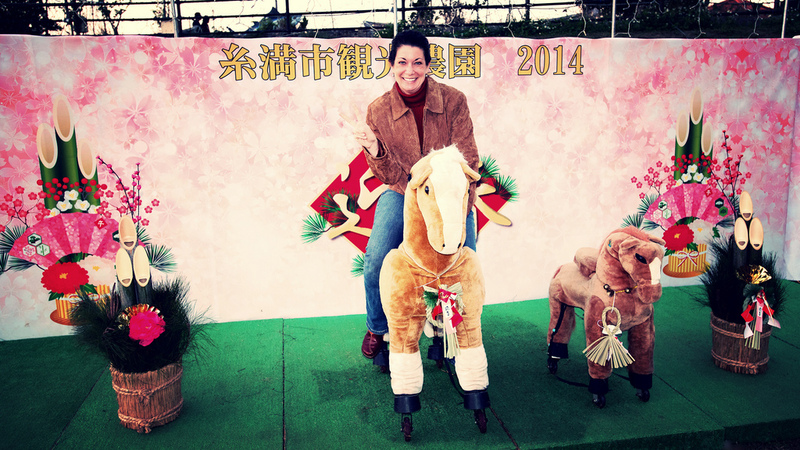 Mayumi – I’m surprised she still speaks to me! 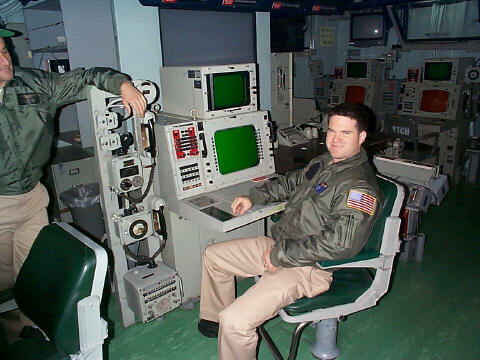 My first time on the island, between 1999-2001, I was the Officer-in-Charge of a detachment of air traffic controllers and operational air intercept specialists that I would serve with for six months at a time. 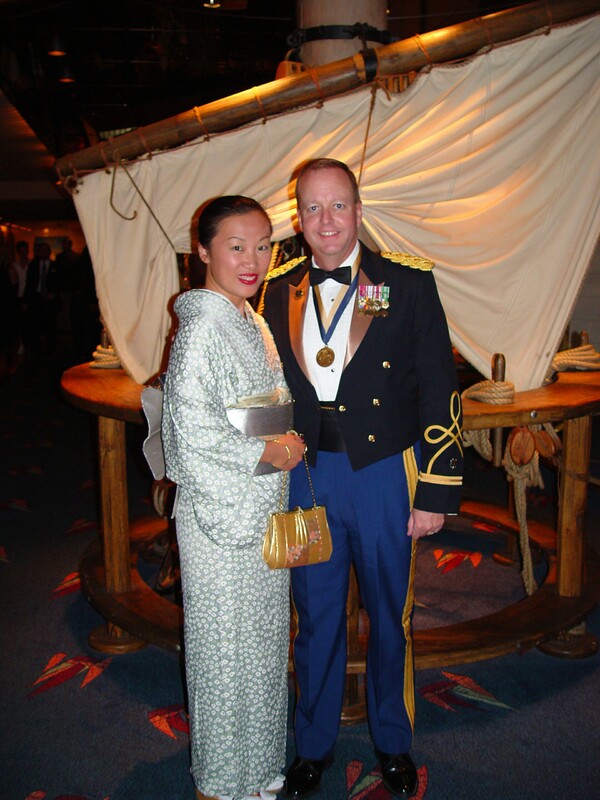 When not underway, they would live at the Habu Hilton on Kadena Air Base, and of course were a very long way away from home with little here to make them feel homey, let alone welcome. So, for every det I hosted, I would hold at least one large party at my home, especially around the holidays and the middle of summer. I, of course, would offer Okinawan Awamori for toasting. 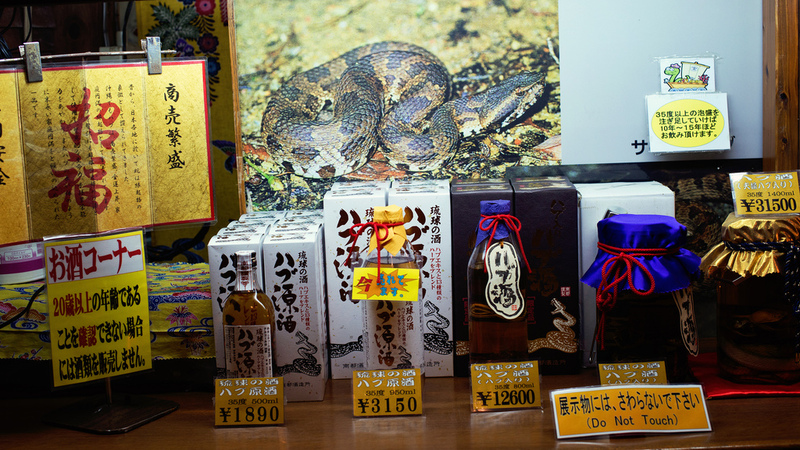 Awamori here is sold in the coolest bottles, and in one-upmanship with Mexico, they have replaced that piddly little worm of same Latino fame with…a full-sized Habu pit viper snake. 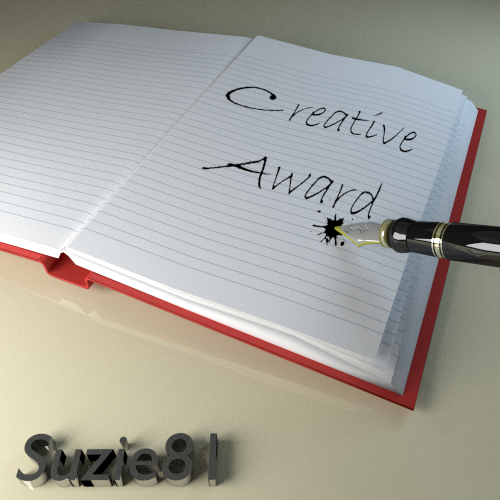 Chew on that (before swallowing)!! Not knowing any better, I would serve the Awamori like one would serve tequila, and my det Sailors, being on detachment and being sailors, would task me to keep up with them while shooting the shots. Yes, alcohol was yet to be ordained another “Great Evil” in the service, although it certainly was seen already by the leadership as a lessor demon. So, we would drink, laugh, eat, and drink some more. And, we all had the worst hangovers the next day, the kind that put you down on the couch for most of the day! It wasn’t until years later, when I was having dinner with a friend who was married to a Japanese woman Mayumi, that I learned my mistake. When I took a shot of the Awamori I had ordered at the higher-end Japanese restaurant we found ourselves enjoying in South Beach (Miami), she was literally aghast at my behavior! She explained that Awamori is to be savored and enjoyed, not gulped, and should always be cut half with water/ice, and then sipped…. It’s hard sometimes to not be the ugly American, even when you try. The Itoman farm, however, makes neither sake nor Awamori. 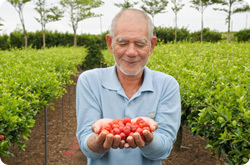 It does produce, however, several varieties of fruit wine, including acerola, passion fruit, and Sparkling versions of each, all made with produce grown locally on-island. 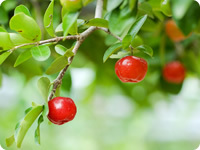 The Okinawans believe that acerola wine prevents aging and rejuvenates the skin, while passion fruit wine helps relieve fatigue. 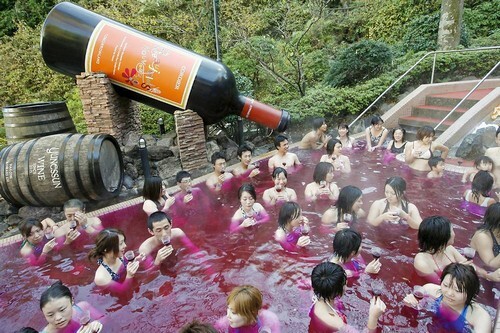 I could’ve used some of this wine to cure my Awamori-induced hangovers. If I had only known. Although no tours were being offered during the illumination, I understand they are available during more normal business times and hours. Of course they do offer free tastings (some things are the same ‘round the world) in their traditionally red-tiled “wine house,” and have a nice souvenir shop where they of course peddle their wines, but also offer jars of fruit jams and spreads made out of local ingredients like sweet potato, acerola, pineapple, and passion fruit, to name a few. 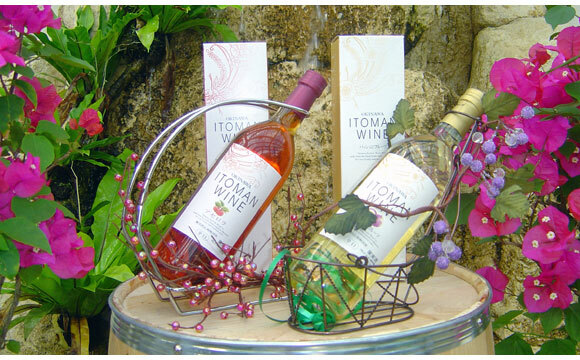 The Itoman Wine Farm is almost directly across the (main) street from Peace Prayer Park, making it an easy side-excursion. The huge white windmills are nearly on the farm and are a key landmark to look for since they are simply unmistakable anywhere near the area. There is plenty of free parking. Miniature golf, pony rides and horseback riding, and greenhouses hosting fruit trees and local fauna can all be sampled as well daily from 10:00am through 6:00pm. 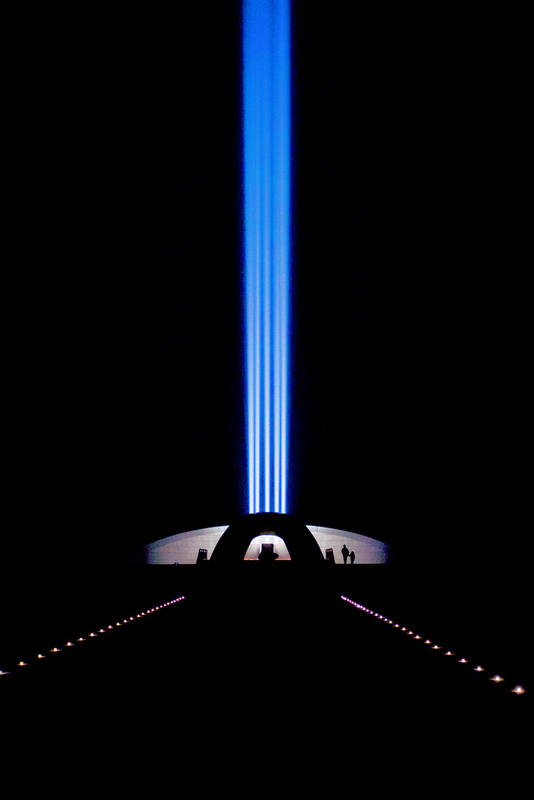 Oh, and when it came time to leave the illumination well into the dark, we noticed some odd light beams shooting straight up skyward from the vicinity of the Peace Prayer Park. We ventured to see, and what we stumbled upon was the “2nd Peaceful Searchlights,” where the park became wrapped in the solemn still and silent darkness, with five powerful beams of light projected skyward breaking through the atmosphere; each beam honoring the victims of the Battle of Okinawa from the five different countries and regions engaged in that conflict: America, the United Kingdom, Korea, Taiwan, and Japan. Lining the pathways of the park were literally thousands of circular battery-powered LED lights, each placed by hand, marking the way. Only in Japan could such things be left open to the public without fear of being stolen, kicked, thrown, or otherwise molested. And we hadn’t even started drinking. Yet. Jody and I came home with I believe 4 or 5 bottles of Okinawan wine. While we haven’t yet to partake of this find and discover what poetry this Okinawan potion portends, we are so very joyful to have a winery here to call home. Our outing, complete with the Tomori Lion encounter (read about that here), our day on Mabuni Hill (an upcoming blog), along with the experience of an Okinawan holiday illumination and peaceful searchlights, was rightfully and wonderfully the Far East Fling flirtation with the first day of the New Year here in Okinawa, Japan. Ride 2014 Like you Mean It, Jody!! 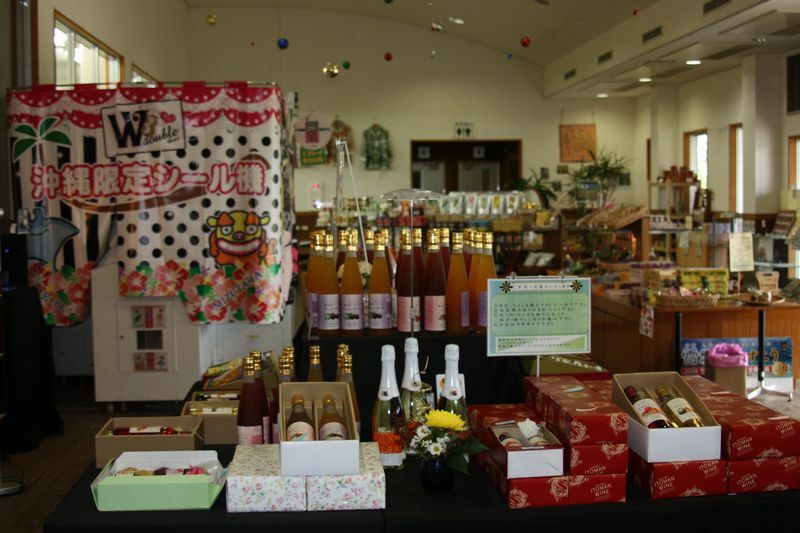 This entry was posted in New Year, Okinawa Living and tagged adventure, celebration, culture, drink, festival, holidays, illumination, itoman, japan, Okinawa, wine, winery. Bookmark the permalink. ← McDonald’s American Vintage Campaign: I’m Lovin’ It!